Milled from Canadian Grown Organic Spelt Grain. The nutritional profile can contain more protein, unsaturated fat, a higher mineral content and more amino acids than that found in today’s hybridized wheat. Spelt has a high water solubility that helps the body absorb its nutrients easily as well as being a great source of fibre. Contains no additives, preservatives or blending (do NOT blend lower quality grains together when milling the flour). Use this ancient grain in any recipe calling for wheat flour. By reducing the liquids, decreasing the mixing time and increasing the fermentation time you can make bakery-style bread in your own kitchen. 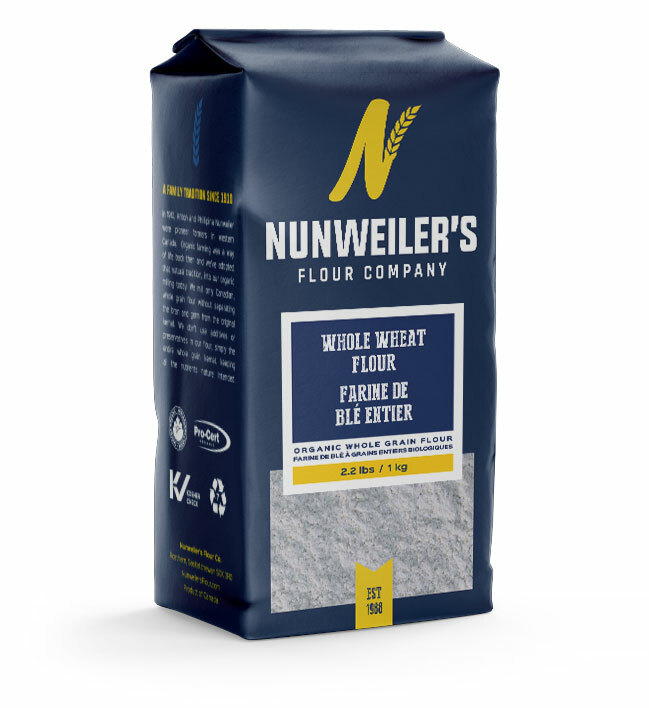 Organic Whole Grain Spelt Flour.